NYC Educator: Overkill? You Don't Know the Meaning of the Word! Overkill? You Don't Know the Meaning of the Word! 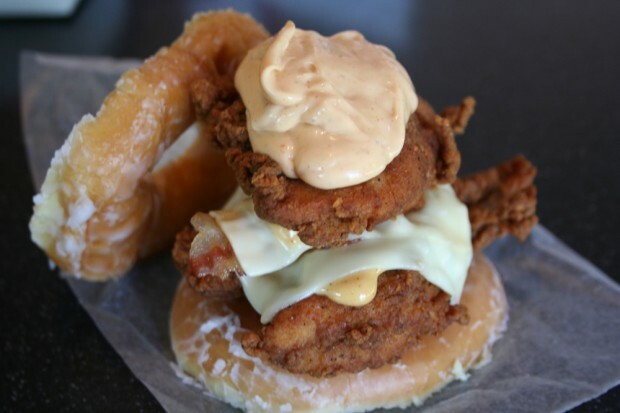 A few weeks ago on these pages, we introduced the KFC Double Down, a concoction of bacon, cheese and orange stuff sandwiched between two pieces of fried chicken, a veritable revolt against good health sure to please the most discerning of diners. Nonetheless, several intrepid souls out there determined this was not what it was cracked up to be, and decided there was still more work to be done. So they added extra orange stuff, took the whole goopy mess and squeezed it into a Krispy Kreme donut.